Once A Day Sun Creams - Which? An appealing product, but can they really work? Find out why Which? doesn't recommend relying on once-a-day sun creams. Carrying sun cream around, fitting it into carry-on luggage and even just applying the stuff can be a hassle. So it’s no surprise products that the manufacturer claims only need to be applied once a day are becoming more common. Some 70% of you are either already using or interested in using these single-application sun creams. But how do they work? Want to skip straight to finding out which sun creams provide effective protection and feel great on your skin? 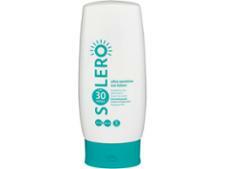 Browse our sun cream Best Buys. How do 'once-a-day' sun creams work? We asked manufacturers, who told us they do multiple tests in order to make the claim. However, there is no universal approach or standard manufacturers have to adhere to. So we decided to conduct our own tests with Boots Soltan Once 8hr Sun Protection SPF30 (200ml), Piz Buin 1 Day Long Lotion SPF30 (150ml), Riemann P20 Once a Day Sun Protection SPF30 Spray (200ml) and UltraSun Family SPF30 (100ml). First, we put them through our usual sun cream tests to check that they offer the SPF they claim - all four products passed the test. To test whether they last, we also included a special second test: the sun creams were applied to the backs of volunteers who would then spend the day in the lab. During this time, subjects wore a t-shirt and were allowed to sit on a chair. After six to eight hours (this depended on how long the product claimed to last), we retested the sun cream’s SPF. We saw an average 74% decrease in SPF protection at the end of the tests. The reason for this reduction is probably the volunteer’s back rubbing against their t-shirt and the chair. If you sit on a sunlounger, lie on a towel or wear a t-shirt on holiday, it’s possible your once-a-day sun cream could simply be rubbed off. 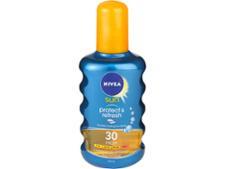 While our tests didn’t subject the sun creams to additional challenges (such as heat, sweat or water) we still saw substantial falls in the level of sun protection. We don’t think you should be relying on any once-a-day sun cream to stay protected all day. Once-a-day claims aren’t permitted in Australia, where anything that leads consumers to believe sun creams don’t need to be regularly reapplied is forbidden. Their rules around the manufacture and labelling of sun creams are stricter than in the UK. When we asked Australia’s Therapeutic Goods Association why once-a-day claims aren’t permitted, a spokesperson told us the claim that a sun cream provides all-day protection is likely to be misleading, as there’s no test data available to demonstrate that the products provide the claimed level of protection throughout the day. We shared our concerns with Cancer Research UK (CRUK) and the British Association of Dermatologists (BAD). Cancer Research UK recommends you reapply regularly to help get even coverage of your skin. At Which?, we don’t think ‘once-a-day’, ‘eight-hour’ or similar single-use claims should be made on sun creams in the UK, as is the case in Australia. 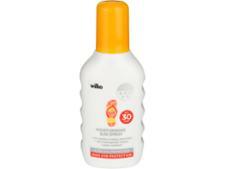 We’re not confident that one application of any sun cream will keep you adequately protected in the sun. Our concern is they may offer a false sense of security, exposing you to a greater risk of sunburn.